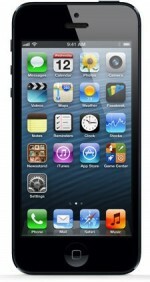 While the three major U.S iPhone carriers launched the iPhone 5 on September 21 and prepaid carrier Cricket and a number of regional carriers followed suit on September 28, one U.S. brand has been curiously silent about its plans for the iPhone 5: Sprint's prepaid Virgin Mobile unit. Virgin launched the iPhone 4S and iPhone 4 in late June, offering prepaid plans for as low as $30 per month to customers willing to pay full retail price for their iPhones. A timeframe for an iPhone 5 launch on Virgin Mobile USA is currently unknown, and it is unclear why the carrier did not introduce the iPhone 5 last week alongside competitor Cricket. Among the sixteen official iPhone carriers in the United States, only Virgin Mobile and regional carrier Alaska Communications have yet to introduce the iPhone 5. When asked about Virgin Mobile's iPhone 5 plans last week, a representative simply told MacRumors that the carrier has "made no announcements about this". great news. I can't bring myself to signing a contract with the us bloodsuckers. Yep! Hell, I could have submitted this rumor. When I got my iPhone swapped at the genius bar it wan an unactivated model. It didn't have a sim card in it so when I set it up it asked me the carrier. It gave me Verizon, Sprint, and Virgin Mobile as options. It gave me two warnings saying it will be locked to that carrier before letting me continue. Buy a GSM unlocked (when available) phone directly from Apple and take it to T-Mobile, they will provide you with a SIM. You won't get LTE obviously, but some markets (including the San Francisco Bay Area) are getting 3G HSPA+ compatibility with the same frequency band that AT&T uses, so that you aren't stuck on Edge speeds. In the long term, T-Mobile should start rolling out LTE sometime in 2013, but I wouldn't necessarily be counting on it. This could be my next (and first) iPhone. But I don't think it's a secret why it's not available yet. Sprint - owners of Virgin in the U.S. - would rather sell you...well, Sprint service. As long as iPhones are supply-constrained, why would they offer their cheap option? Very good to see they'll have more than just the 16GB version. Right ? What the hell is wrong with you apple add t mobile. How does Straight Talk work for Voicemail? Sorry for the late reply. When you press the voicemail tab on the iPhone, it automatically dials your voicemail number. So, it's old-school voicemail, but it's integrated with the phone's voicemail function. Thanks for the reply. Do you get a visual notification, such as alert window popping up or the badge on phone app icon showing how may messages you got? Since we've been waiting all this time for VM to actually get the iPhone 5 ... I've been doing more thinking and number crunching. I have a lot of music, and would prefer to just keep it all on an iPhone, so I should really get the 64GB model. For me, it'd be worth it to get it on Straight Talk instead of VM because there's unlimited minutes and more coverage. So, the savings on VM only really happens when you want the 16GB model or the iPhone 4. My thoughts exactly, Conspiracy Keanu.